Masters: born in 2001 or earlier. Senior: born in 2002, 2003, 2004, or 2005. Juniors: born 2006 or later. At day 1 there will be a number of swiss rounds, depending on the number of participants. This number is also relevant for the procedure on day 2. 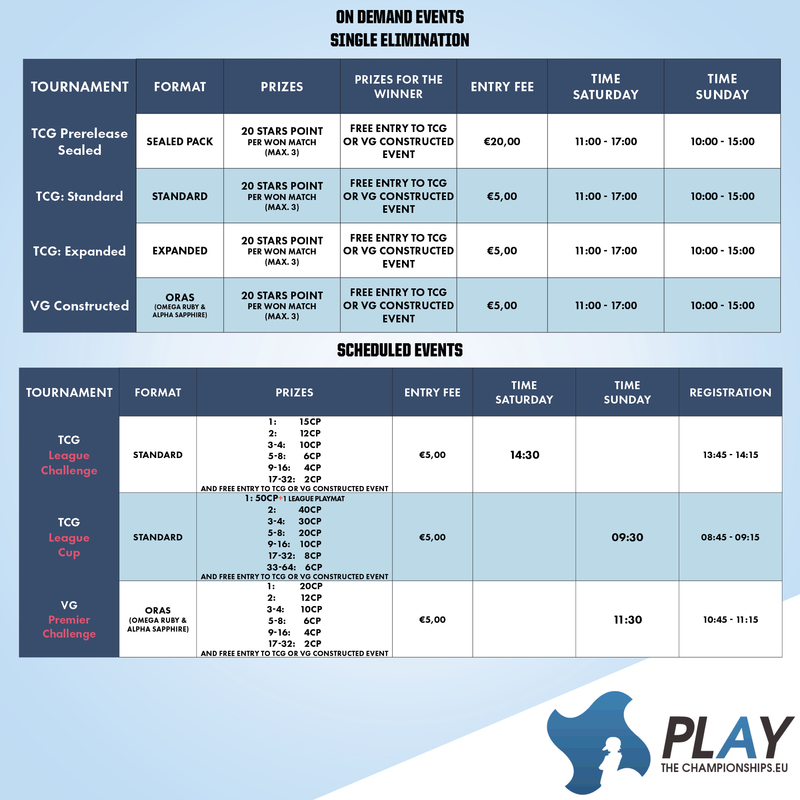 Will there be 227 players or more in one age division, all players who finished X-2 or better (and if this affects more than 32 players) will play a few more rounds of swiss and after this we will cut down to Top 8. If 32 or less players finished X-2 we will directly cut to Top 32. If there are less then 227 players in one age division, we will directly cut down to Top 8. Decklist required. Download your decklist here! What's the age to participate for the Junior Division? You will compete in the Junior Division if you were born in 2006 or later. What's the age to participate for the Senior Division? You will compete in the Senior Division if you were born in 2002, 2003, 2004, or 2005. What's the age to participate for the Masters Division? You will compete in the Masters Division if you were born in 2001 or earlier. The Lost & Found service will be located at the Info Point. If you lose something at the event, please go to the Info Point near the main entrance, and inform the event staff. If your lost item has not yet been found, you will be asked to complete a form so that we can identify your goods once handed in. Outside food isn't allowed inside the venue. Food will be available for purchase inside the event hall at reasonable prices. Why is a consent form necessary? 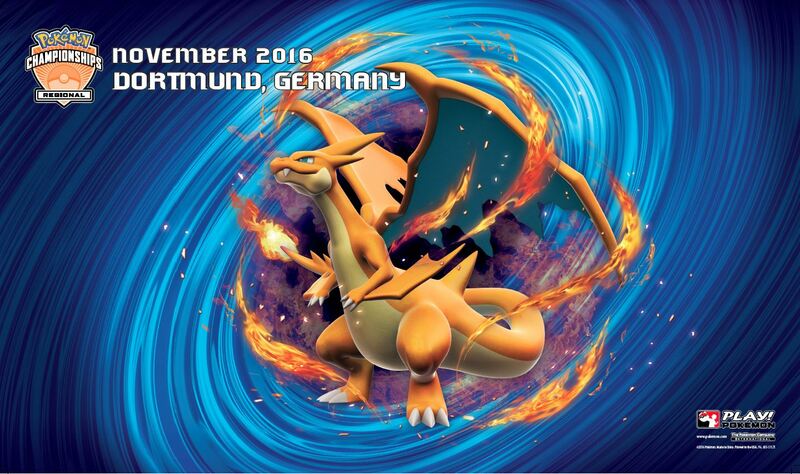 In order to play at Pokémon events organized by tournamentcenter.eu, players must complete a consent form. By signing this document, you agree that you have read and agreed to all conditions and requirements for entry and participation in our Pokémon Regional Championships event. Although trading is both allowed and encouraged, please note that the following things are not permitted at this event: Buying/selling cards with anyone except for our authorized dealers. Advertising without receiving permission from the on-site Event Manager. Offering to alter cards in exchange for some form of compensation. Utilizing an excessive amount of space. If you have already received a Player ID through your Pokémon Trainer Club account, or have linked an ID that you received at a previous event to your account, you can log in to pokemon.com and look up your Player ID in your personal profile.